– in august 2012, Shinichi Mochizuki finishes the fourth of his papers on ‘inter-universal Teichmuller theory’ (IUTeich for the aficianados), claiming to contain a proof of the ABC-conjecture. – at the time i found these reactions premature. It often happens that the first version of a proof is not the most elegant or shortest, and i was hoping that Mochizuki would soon come up with a streamlined version, more accessible to people working in arithmetic geometry. I spend a couple of weeks going through “The geometry of Frobenioids 1” and recorded my stumbling progress (being a non-expert) on Google+. In recent (comments to) Google+ posts, there seems to be a growing polarisation between believers and non-believers. If you are a professional mathematician, you know all too well that the verification of a proof is a shared responsability of the author and the mathematical community. We all received a referee report once complaining that a certain proof was ‘unclear’ or even ‘opaque’? The usual response to this is to rewrite the proof, make it crystal-clear, and resubmit it. Few people would suggest the referee to spend a couple of years reading up on all their previous papers, and at the same time, complain to the editor that the referee is unqualified to deliver a verdict before (s)he has done so. Mochizuki is one of these people. His latest Progress Report reads more like a sectarian newsletter. There’s no shortage of extremely clever people working in arithmetic geometry. 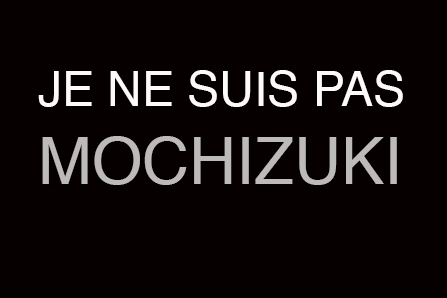 Mochizuki should reach out to them and provide explanations in a language they are used to. As far as i understand it, ‘Frobenioids 1’ is all about a categorification of Arakelov line bundles, not just over one particular number ring, but also over all its extensions, and the corresponding reconstruction result recovering the number ring from this category. Such a one-line synopsis may help experts to either believe the result on the spot or to construct a counter-example. They do not have to wade through all of the 178 new definitions given in that paper. Is it just me, or is Mochizuki really sticking up his middle finger to the mathematical community. RIMS is quickly becoming Mochizuki’s Lasserre.